Sony on Tuesday raised its full-year profit and sales forecasts after reporting a near-threefold increase in first-quarter profit, as its recovery continues under a new CEO. The electronics and entertainment giant now forecasts 500 billion yen ($4.5 billion) in net profit for the fiscal year to March 2019, up from its earlier estimate of 480 billion, in what would be a record profit for the second straight year. Annual sales are projected to rise slightly, with operating profit unchanged. The upward revisions were largely due to foreign exchange gains, brisk sales of PlayStation 4 software including "God of War," and the growing value of Sony's shares in top streaming platform Spotify. For the April-June quarter, it reported a net profit of 226.4 billion yen, up from 80.9 billion yen a year earlier. "The PS4 is passing its peak but the slide is not steep," Imanaka told AFP. Sony also benefited from the sale of part of its stake in Spotify when the service made its share debut. The quarterly results are the first under new CEO Kenichiro Yoshida, who replaced Kazuo Hirai in April. The upward revisions confirm a smooth transfer at Sony following its return to health after huge losses in recent years. "The Yoshida team got off to a flying start," said Hideki Yasuda, an analyst at Ace Research Institute. "It has been a smooth power transfer," he added, and the company "is forecast to continue displaying a strong performance at quite high levels." Hirai spent the past six years digging the company out of deep financial trouble, leading aggressive restructuring and scrapping thousands of jobs while selling business units and assets. In May Sony unveiled a $1.9-billion deal to buy industry titan EMI Music Publishing. It was Sony's first major deal under Yoshida, who noted that the music business has enjoyed a resurgence in recent years due to streaming services provided by companies like Spotify and Apple. Sony also said Tuesday it made EMI its wholly owned subsidiary by buying shares from a foundation managing assets related to the late Michael Jackson. For the April-June quarter, its music division enjoyed gains in both sales and profit, while the pictures sector showed a smaller loss than a year earlier thanks to growing software sales of its box office blockbuster "Jumanji: Welcome to the Jungle". Sales of high-end TVs and headphones steadily gained but its mobile phone businesses suffered a quarterly loss. "Our fundamental challenge is that competitiveness of our products may not be able to meet top-class levels," said Sony CFO Hiroki Totoki, referring to its smartphone lineup. 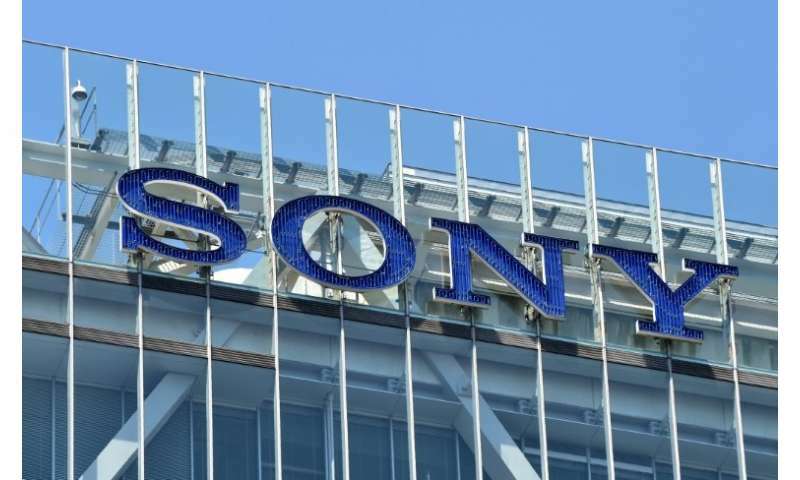 "As our management has changed, our basic policy is now to strengthen products by creating synergy effects of Sony's hardware with its own technologies," Totoki said. Sony shares fell 0.63 percent in Tokyo to 5,828 yen on Tuesday. Thehe results were announced after the market closed. The shares have gained 13 percent since the new CEO took office. For the year to March 2018, Sony's annual net profit hit a record high as it marked the first sales gain in three years.